Our online exclusive Ultimate Package includes general admission, a Behind The Scenes Tour and a Photo Package.  You will receive a Photo Pack as a souvenir of your visit to SEA LIFE Birmingham. Your booking will give you a time slot for your tour, which we advise you arrive 45 minutes prior to enter the attraction. To book this ticket please click here.